High Life Tailored was born in 2015 after Tom travelled to Ghana with a film crew and stumbled across the Arts Centre in downtown Accra. Filled with hundreds of colourful, intricate fabrics that reflect the vibrancy of the country, he was inspired to find a tailor that would make western style suits using six yards of local textile. 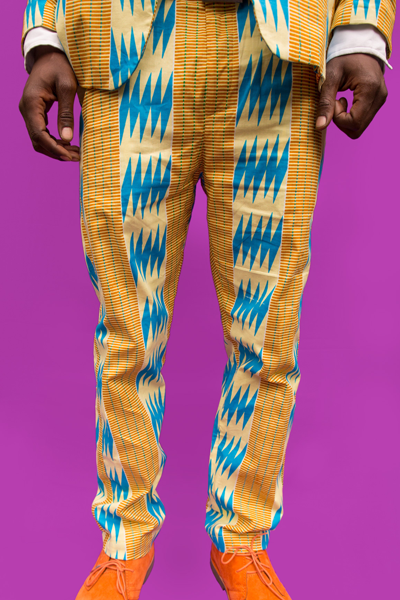 Upon his return to London, and wearing the suits around the city and at parties, the reaction from people wanting their own slice of Ghana was too great not to set up High Life Tailored and bring the unique colours from a corner of West Africa to the rest of the World. 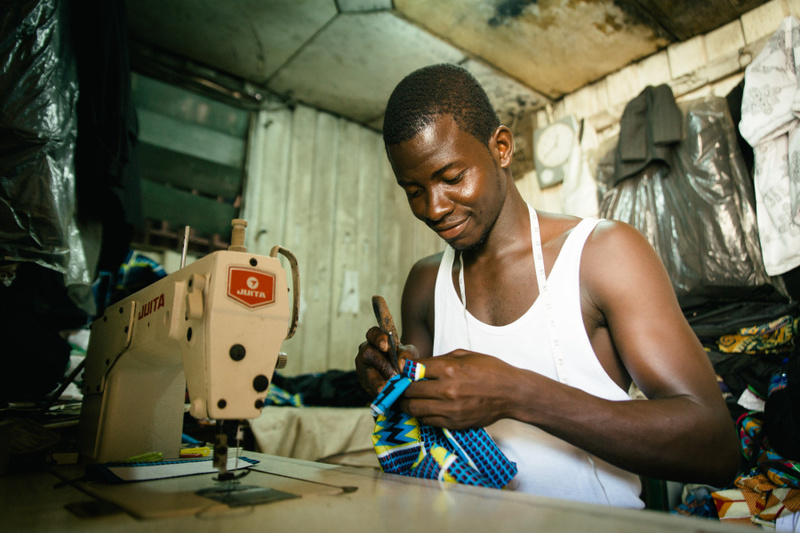 Returning to Ghana a few months later, Tom picked the initial 19 designs that make up the High Life range, met with Gloria and Israel the tailors and set the wheels in motion. As a lover of Ghanaian music, Tom chose the name High Life due to the genre of funk music that emanated from Ghana at the turn of the 20th century. High Life is a sound that truly captures the feel good, sun soaked atmosphere of the country. High Life music quickly spread throughout Western Africa and beyond. The perfect marriage of traditional Ghanaian sounds and funk from the USA and Europe. High Life want to change the formal wear landscape. That’s where it all started. Walking through the city of London, and into offices up and down the land you’ll see grey suit after black suit. 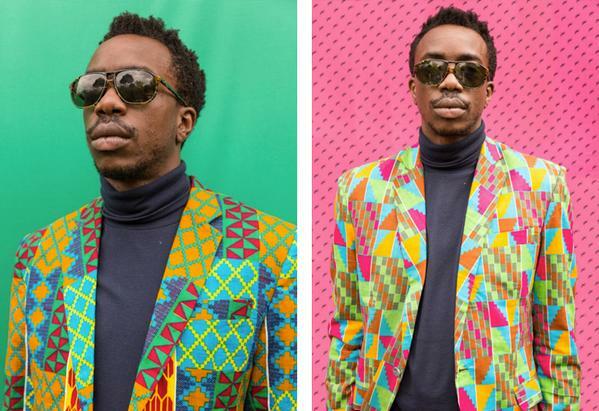 High Life Tailored is on a mission to inject vibrancy and colour into the offices, parties, weddings and society as a whole, one suit at a time. Their dream is that the daily commute, the tube, boardroom meeting, the house party, the first date, will be transformed by the shades of Ghana and the energy that comes with such beautiful colours.